Heritage Rags is an online clothing retailer that sells African culture and style inspired t-shirts, hats, and other apparel. 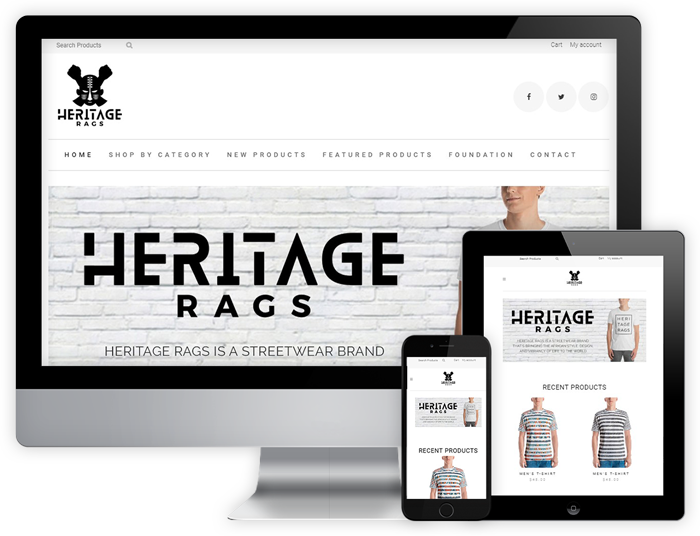 Peter Amara, the owner of Heritage Rags, cam to Jawfish with help building a brand new website that would have a clean and modern design. Cody at Jawfish was awesome! Period!! He's absolutely one of the best professionals I've worked with in the web development field. Always timely and responsive, Cody helped with our web development needs from scratch and made that process painless. His diligence in going over everything and ensuring that my team had a good handle of what we were doing after he completed the project, was phenomenal. He gave us just what we were looking for - and I'll recommend his services to anyone, any day.